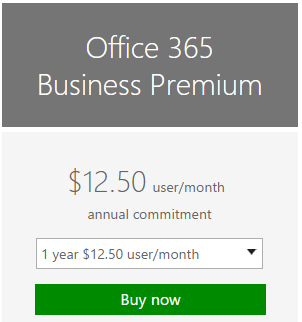 Office 365 is your personal Office and more. It lets you work from anywhere, on any device, whether you’re online or offline. It helps you do your best work, the way you want to, wherever you are. That means more powerful tools for creating content, better ways to work together, and easier ways to share. Microsoft® Office 365 brings together cloud versions of our most trusted communications and collaboration products with the latest version of our desktop suite. Office 365 is designed to meet the needs of organizations of all sizes – everyone from sole proprietors to small, mid-sized and large businesses and from government agencies to educational institutions – helping them to save time, money and free up valued resources. OFFICE 365: WHAT DOES IT INCLUDE? 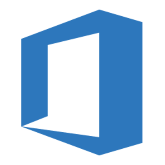 Microsoft Office: The world’s leading productivity tool on the desktop (Office Professional Plus) and on the Web (Office Web Apps) now seamlessly connected and delivered with cloud services. 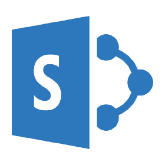 SharePoint Online: Cloud-based service for creating sites to connect colleagues, partners and customers. 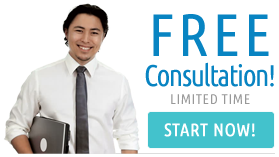 Includes enterprise social networking and customization options. 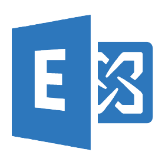 Exchange Online: Cloud-based e-mail, calendar and contacts with the most current antivirus and anti-spam solutions. Ability to get e-mail on virtually any mobile phone. Other options available. We’re ready to help you bring Office 365 into your business – contact us today to learn more. Work together seamlessly: Don’t miss a beat when you create documents, edit, and collaborate with others in real time. Your team stays in sync and you’ll get things done faster than ever. Free your teams to work anywhere: Embrace the freedom to live life and work the way that’s best for both teams and individuals. Today’s business users want more intuitive technology, uninterrupted services, and the freedom to work when and where they need to. Office 365 helps take location out of the equation so that your employees can live life on their terms. Connected people are productive people: Office 365 keeps people connected to one another, and to documents and data. Intuitive tools for online meetings, file storage and sharing, and team collaboration make it easy to connect and collaborate with colleagues whenever, wherever. With Office 365 your team stays connected, even on the move, with email and calendars you can access from anywhere. Coordinate meetings on the go, access synchronized contacts, check task lists, and use intelligent tools to manage email. This easy access from virtually any device means you’ll never be out of touch. Email is a natural and consistent part of your daily work life. Make sure you’re using a service that understands what you need. With the capabilities included in Office 365, you’re not only getting a service built on enterprise experience and security, but also the latest innovative and easy-to-use collaboration and communication features. Do more with email: You need email that’s simple and powerful. Now people will have 50GB of storage for all their messages and the ability to send an email up to 25MB. Take control of your inbox: Help people stay focused on what’s important. Easy visibility into the messages that matter most means your team is more efficient and can use email to get work done. Simplify scheduling: The perfect team tool, Office 365 lets you check calendars and retrieve contacts from any device. You can avoid scheduling hassles by easily sharing calendars and viewing other’s availability. Protect data in your email: Keeping messages encrypted outside of the company was a tricky endeavor—until now. Your employees can now send encrypted emails to anyone. If the recipient responds, or even if they forward the message to someone else, the encryption remains in place. Anti-spam and anti-malware protection: Office 365 applies a layer of anti-spam and anti-malware protection across a global network of datacenters to prevent infection via email. And your employees have control over their spam-quarantined messages. Keep everyone on the same page, wherever they happen to be. OneDrive for Business lets your team collaborate on documents, share reports with partners, and connect with customers – from virtually any device. You can enable everyone to work on the same files – simultaneously – and track everyone’s changes in real time. Keep reviewing and refining your files online and offline, at your desk or on the go. When everyone is working together it can be hard to keep track of files—and even harder to work with them on the go. With one place for all your work files, you can access them anytime, from any device, and share the latest version with the rest of the team. Get room for all your files: With 1TB of personal document storage, everyone can store files online to access them from anywhere—with PC, tablet, iPad, or phone. Securely share with others: Find shared documents fast: With Delve, Office 365 also helps you discover relevant information based on what you do and who you engage with. Cloud made easy with familiar Office tools: Embrace the cloud solutions for your work files and let your employees work with their familiar productivity tools such as Word, Excel and PowerPoint. Location and time are no longer blockers to finishing your projects and your work files can be accessed anywhere at any time. Use OneDrive for Business to connect, communicate, and collaborate to get work done. Industry leading enterprise grade cloud solution: OneDrive for Business is an enterprise grade solution that includes security, management, compliance and administrative capabilities. Being part of Office 365, we meet the highest industry regulations (HIPAA, ISO 27001, EU Model Clauses, FISMA) and offer eDiscovery. Use OneDrive for Business and we will continue to innovate to meet the enterprise requirements of your organization to control and manage your valuable files while satisfying the needs of your employees. You need to get the right people working together to get the work done – which is not always simple in our on-the-go world. Office 365 makes it easy for people to meet and connect online, from wherever they are, on multiple devices. With Skype for Business, people can join or start a meeting in just one click, whether across the hall or across the globe. HD video, screen sharing, and real-time note-taking help meetings matter, producing actionable results and decisions for your team. Skype for Business allows you to communicate and collaborate without borders and barriers, expanding beyond the walls of your business to reach partners, prospects and customers. People can more easily communicate and work with the clients and customers they’ve added to their extended contacts lists. With Skype for Business, video calling is a more natural part of everyday business and collaboration, encouraging more “face-to-face” communication. Work anywhere: With Skype for Business, conversations are convenient, travelling with you from mobile device to meeting room. People can add new ideas, review any part of a conversation, or get to meeting content from wherever they may be. Meet with anyone: Skype for Business improves communication because everyone, including customers and partners, can connect, meet, call, and collaborate online – all from their favorite devices. Familiar and easy: Skype for Business keeps and improves on all of the capabilities of Skype and Lync, including content sharing and telephony. For example, transferring a call now takes only one touch or click instead of three. Reduce complexity: Skype for Business is a complete communications and collaboration platform with the security, compliance, and control you expect from Microsoft. With a single solution, you eliminate the need to license and support multiple services and products. Increase togetherness and reduce travel costs:Skype for Business means the freedom to work with anyone, in any location, at any time – virtually eliminating the need for travels. Increase adoption and improve ROI: Because people know Skype, they are more likely to adopt Skype for Business quickly with less training and support required. Yammer helps your organization listen, adapt, and grow in new ways by working like a network. More than a content repository, it’s a place where your teams can discuss various aspects of a project, share ideas, give feedback, take notes together, review the same documents, and much more. Yammer makes connecting your distributed workforce easy. It helps employees get answers to questions faster with an open community feed. And most importantly, it inspires unity and innovation by allowing people to learn, share, and be heard. The pace of business communication has increased due to online technologies, most specifically social networking. As such, Office 365 has evolved to a more social suite. For example, Yammer, an Enterprise Social Network (ESN) helps your organization listen, adapt, and grow in new ways by working like a network. Join the conversation: Some of the best ideas come from spontaneous conversations, with people you never expected. That’s why Yammer is built around open communication – where people work in the open, conversations only happen in private when they need to and everyone benefits from shared information. Share your knowledge: Yammer gives you a voice to share your knowledge and skills with others so you can make the most out of what you know. It starts with your Yammer profile. Complete your profile so coworkers can discover who you are, what you’re working on and how you can work together. Discover what you need: Everyone holds a wealth of information – expertise in a specific area, content created for a project or insights from previous experiences. Yammer lets you discover things you wouldn’t have found otherwise: the right people, documents and conversations you need to get your best work done. Listen to the conversations that matter: Connect your organization to boost engagement and surface important information and experts. Yammer users gain 76% more visibility into other departments or locations, and 80% are more informed with what is happening inside their organization. Grow your business: Drive innovation, get to market faster and deliver experiences that grow customer loyalty with Yammer. Among business leaders of networked organizations, 93% agree that Enterprise Social tools stimulate innovation in their companies. Adapt and make smarter decisions: Open collaboration is more efficient collaboration. Yammer helps teams quickly adapt to change and work together more productively. 71% of business leaders report that Enterprise Social tools increase the speed of access to knowledge. Our design philosophy is to build requirements-based solutions that deliver maximum value throughout the operational lifecycle. The intent of this service is to enable smooth transitions between the build, test and deploy phases while returning additional value to the project. 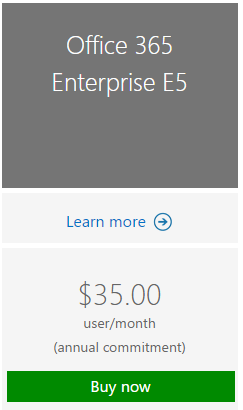 Idea has a wide range of available offerings for Office 365, which range from a single-day readiness workshop to a complete deployment into your environment. 30 Years Combined Experience! 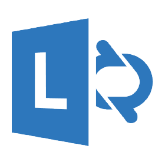 We are a leader with Microsoft System Center technologies, with over 100+ production implementations under our belt, we know how to get the job done- Organization and process expertise to drive the right configuration so the tools can provide their full intended value. We give you the tools to implement, manage and monitor your Microsoft System Center technologies in a way that works for your company.